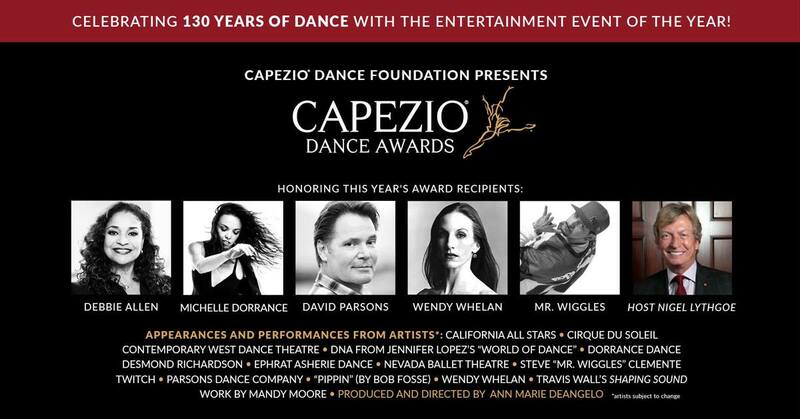 Thrilled our artists, Michelle Dorrance and David Parsons, are being honored at this years Capezio Dance Awards at The Smith Center in Las Vegas. Equally excited for Mr. Wiggles who was in the cast of Jam on the Groove, NYC's first Hip-hop show which was produced by Margaret Selby. We also celebrate the continued artistry of Wendy Whelan and our longtime friend Debbie Allen on her Lifetime Achievement Award.